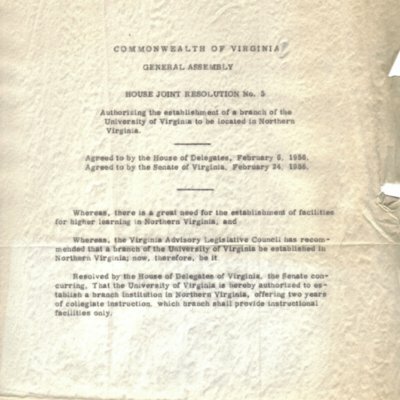 Commonwealth of Virginia: House Joint Resolution #5, February 24, 1956. Photostatic copy of Virginia House of Delegates Joint Resolution No. 5, establishing a Northern Virginia branch of the University of Virginia, February 24, 1956.